The Reedy River Corridor is a term for the new developments that are following the Swamp Rabbit Trail through downtown Greenville, SC north towards Furman and Travelers Rest, SC. 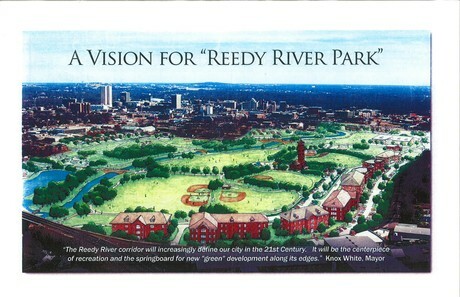 Mayor Knox White has been quoted as saying "The Reedy River corridor will increasingly define our city in the 21st Century. It will be the centerpiece of recreation and the springboard for new "green" development along its edges." 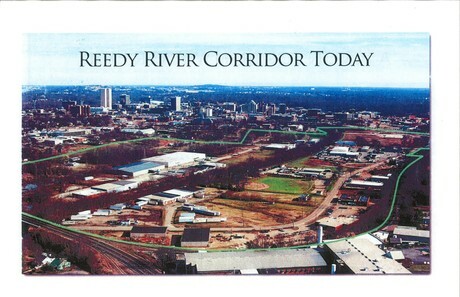 At this time the corridor is mostly about the Reedy River Falls park and bridge. The city and developers have plans to extend the park and real estate opportunities towards the north which include The Kroc Center and the swamp rabbit trail. It is easy to see why the Reedy River Corridor has become the driving force in downtown development when you look at the opportunities for recreation, entertainment and relaxing along the river's path. In the first year of use Falls Park saw a much larger use then city planners ever predicted indicating a pent up demand.